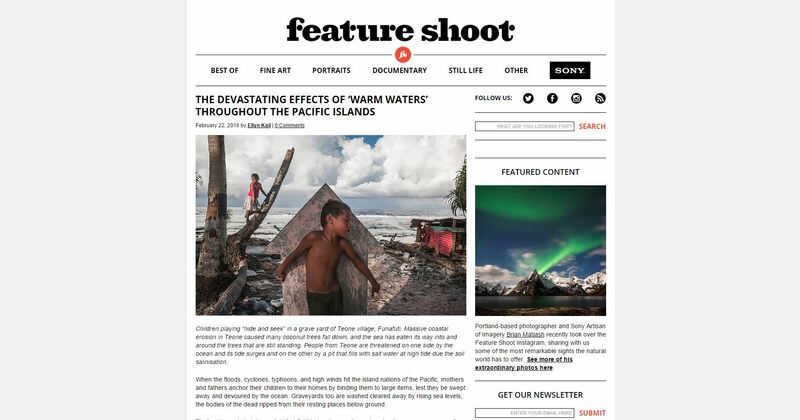 Happy to see media giving attention to my project on climate change in the Pacific. Today “Warm Waters” was featured on Feature Shoot photography blog. Also if you feel like supporting organisations like UNICEF, ChildFund, Oxfam, Live&Learn, Greenpeace and others, that help affected Pacific communities, check their work clicking on the links in the end of the article.